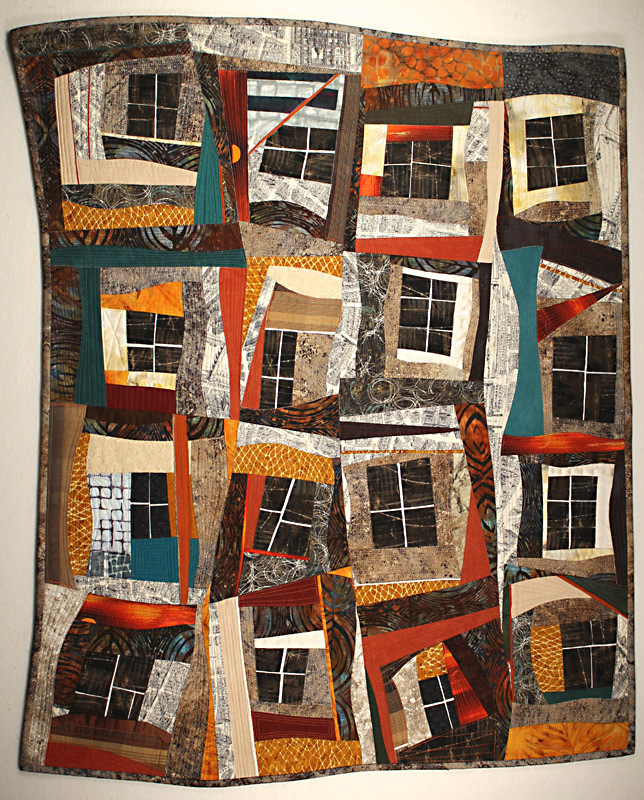 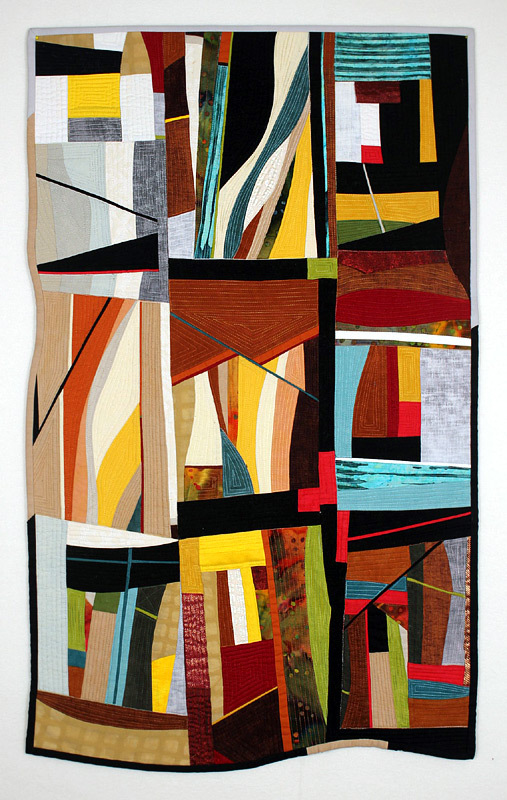 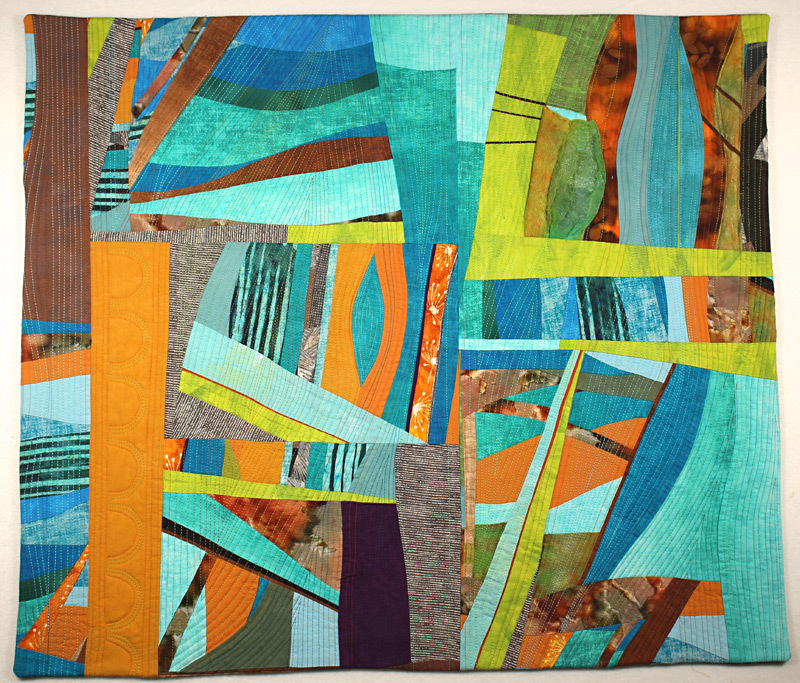 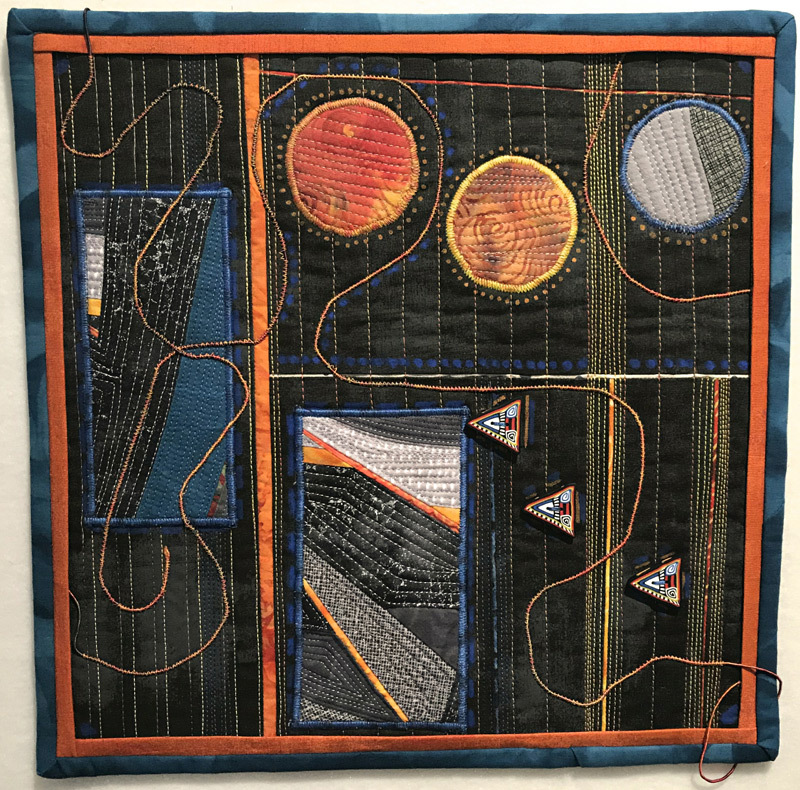 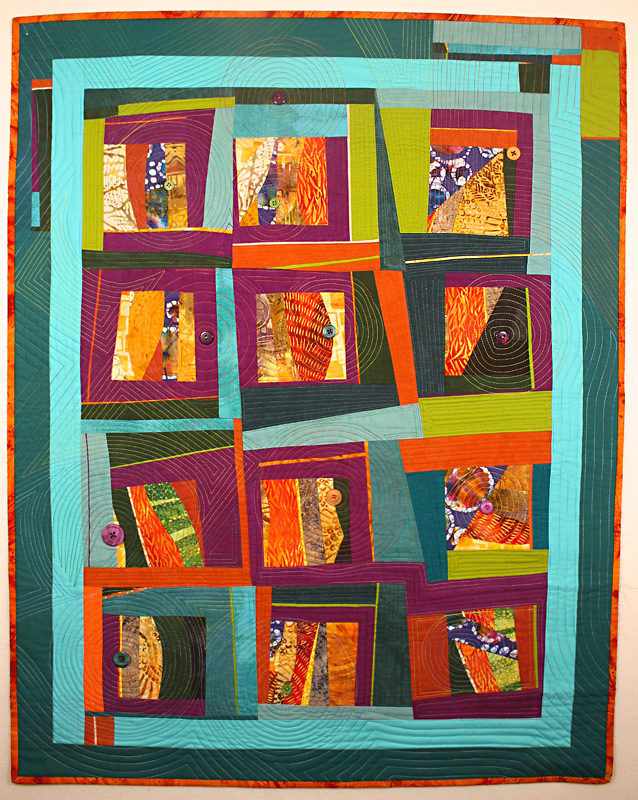 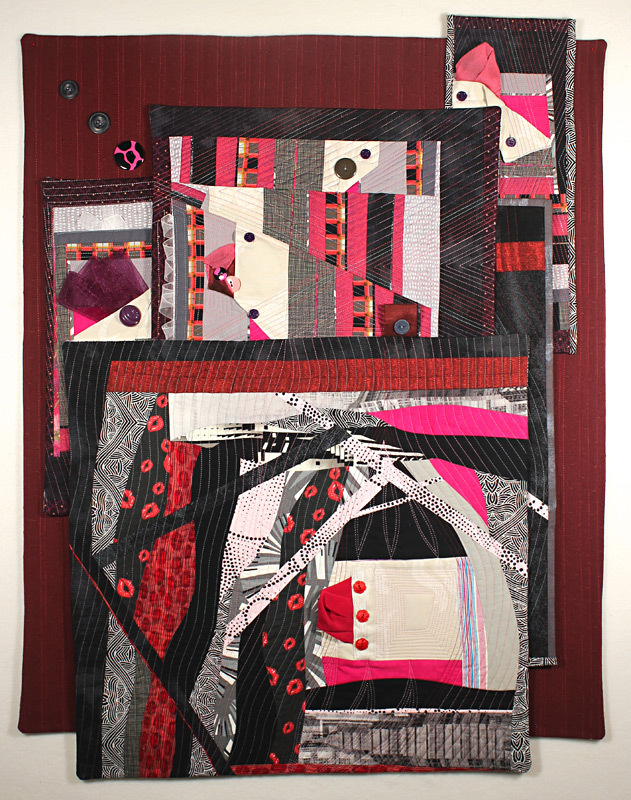 I create modern quilts with abstract designs, employing improvisational piecing techniques and lots of color. 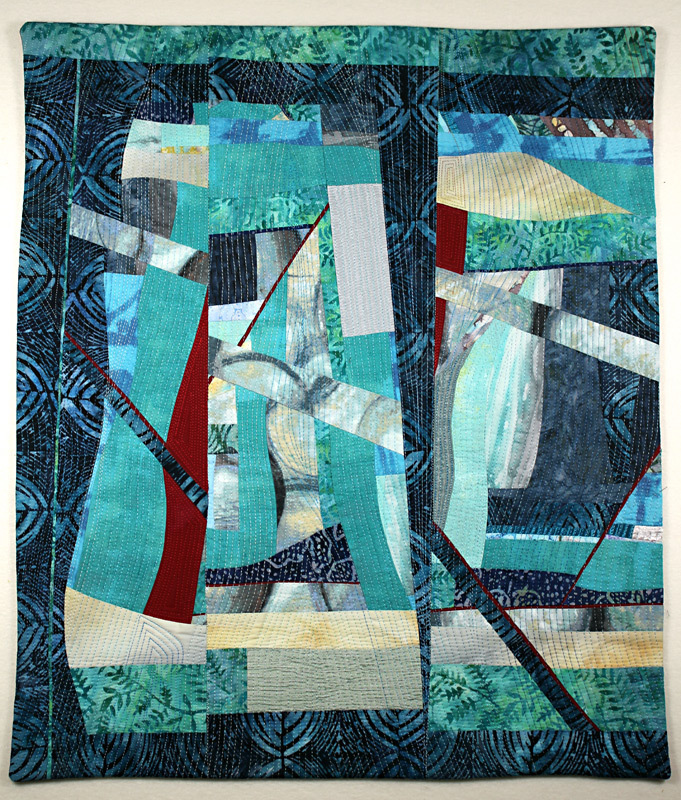 My pieces are heavily quilted, using my own “free flowing” machine quilting methods, generally on my Bernina 820 (always with music playing in the background to inspire me!). 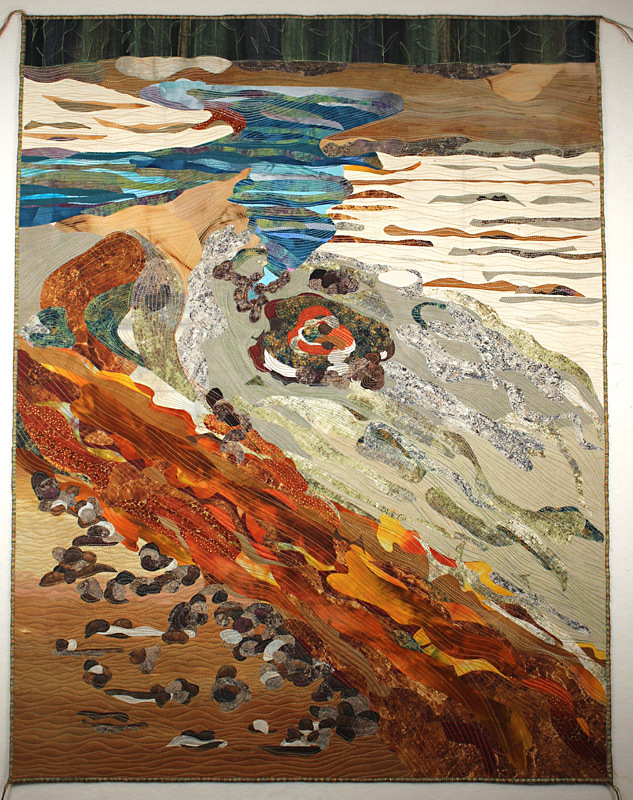 My art quilts also utilizing raw edge fusible applique, as well as highly fanciful representational images, loosely based on my photographs.